The only 3rd party cookies you will encounter are on the BobLAN page via the embedded Twitch and Twitter feeds, and on the Twitter page. DFC itself does not make use of any tracking cookies. The Help menu on the menu bar of most browsers will tell you how to prevent your browser from receiving cookies, or how to have the browser notify you when you receive a new cookie and give you the option of rejecting it. However, we do recommend that you leave cookies turned on to get the best out of the DFC site. More information on cookie settings can be found at aboutcookies.org. 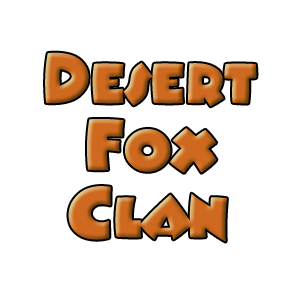 Desert Fox Clan shares no information with other companies or web sites. We only keep basic member data in order to link to match results. Members can logon and view/update their data at any time.